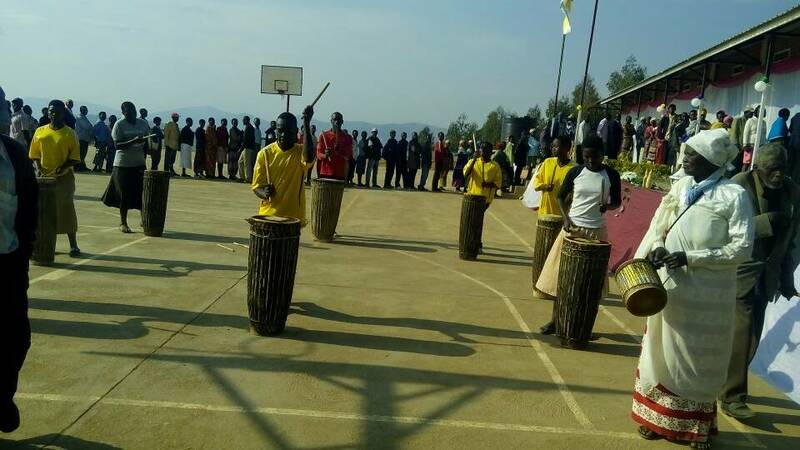 Millions of Rwandan voters have this morning queued at polling stations to elect the next president scheduled to serve a 7-year term – the third presidential election after the 1994 Genocide against Tutsi. Voting today is a climax of 20-days of aggressive presidential campaigns involving three candidates that combed all the thirty districts across the country convincing voters to elect them. 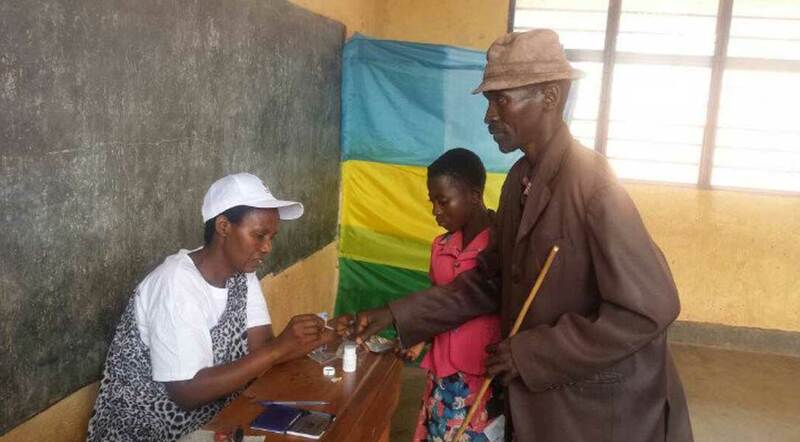 Some 6,897,076 voters will decide among three candidates; independent candidate Philippe Mpayimana, Paul Kagame – flag-bearer of Rwanda Patriotic Front (RPF) Inkotanyi and Frank Habineza of Democratic Green Party of Rwanda. They have already cast their vote. Men are 46% of total voter base. 25 percent of the voters are first-time voters. At exactly 11:00am,Rwanda Patriotic Front (RPF) Inkotanyi candidate-incumbent President Paul Kagame arrived at his usual polling station in Rugunga village, Kiyovu cell, Nyarugenge sector in the capital Kigali, to cast his vote. Candidate Kagame was flanked by The First Lady and children at the polling centre. After voting, Kagame walked out and headed back home. 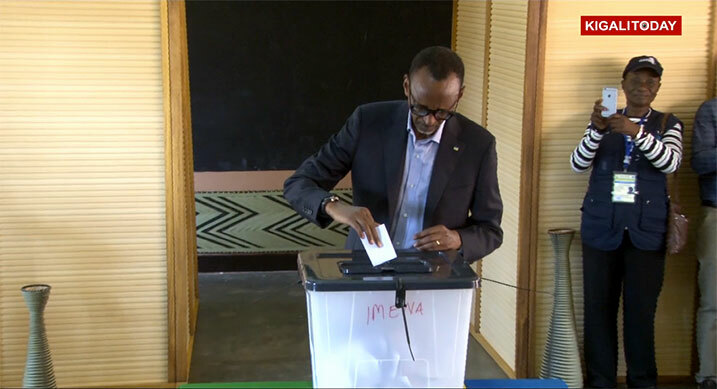 Despite media frenzy at the polling station, Kagame did not offer any interview. Earlier at 8:30am, candidate Habineza also voted at Kimironko 2 in Gasabo district, also accompanied by wife. 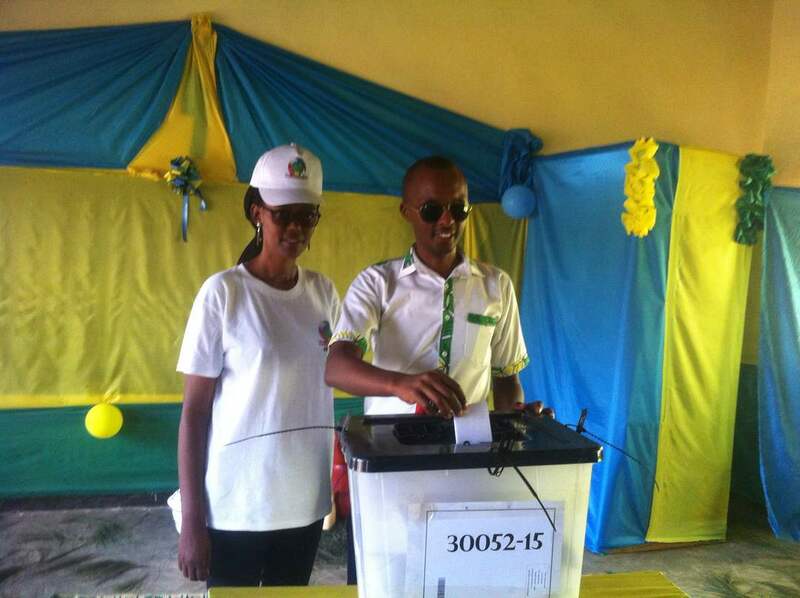 Independent candidate Philippe Mpayimana voted from Camp Kigali polling centre in Nyamirambo at noon. Many voters arrived at polling sites as early as 2:00am. 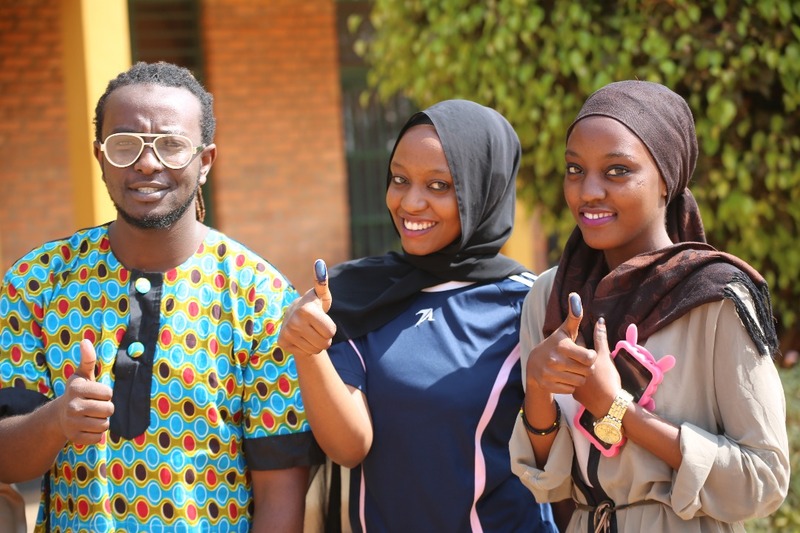 They had pledged to be the first to vote and resume their usual activities. “I had pledged to be the first to vote for my candidate. Thanks to God I was here even before polling assistants arrived,” said Charles Habonimana, a voter in the city of Kigali. Across the country, queues were so long when polling stations opened at 7:00am. After polling assistants took oath, voting immediately started as all voting materials were ready. For the first time, disabled persons were given an opportunity to cast their vote. For example, there were brails for the visually impaired at every polling station. “This is my third time I participated in presidential elections. Previously, an under 18 child was directing us to the ballot paper and you were not a hundred per cent sure whether he directed you to the candidate of your choice. Now I am very sure, I voted for my favorite candidate,” said Jacques Mugisha from Nyamata polling station, Bugesera district. Very excited at most polling stations were first time voters and the newly naturalized citizens. Prof. Kalisa Mbanda the NEC Chairman told journalists yesterday at the commission offices that a total of 44,362 voters in the Diaspora turned up at 98 polling stations. According to National Electoral Commission, the elections are monitored by 1800 observers including 400 foreign. There are 2,340 polling stations across the country with a total of 16,691 rooms. Stations are highly decorated, more like cultural wedding venues. Many supporters referred to the elections as a wedding ceremony. They said it is one of the indication they are conducting peaceful and democratic elections. NEC has promised to announce preliminary election results by Friday Night.